Believe It Or Not Quiz Night – Max Number of Members Per Team is 8 People. Bar tab prizes for 1st, 2nd and 3rd place. Bookings are essential – 09 849 5777. Mia Jay & Band with Bat Face Girl – Mia Jay is celebrating the release of her recent EP, ‘Eye to Eye’ by bringing her lyrical melodies to four of New Zealand’s major centres with the support from her talented band. She describes her music as pop/folk with a hint of jazz. Salmonella Dub Soundsystem – Salmonella Dub new album ‘tease’ tour April-July 2019, Featuring the Salmonella Dub Soundsystem, Laughton Kora, Dj Mant. Taste of BASE – Party Jams w/ Soulyric, Funk Ferret & Benn Morrison – Ora – New Zealand Ale proudly presents our monthly feature at Portlands. 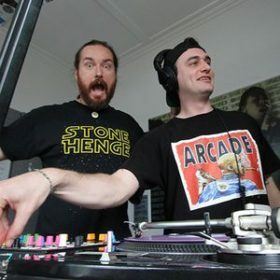 THIS MONTH (25th April) we have our Saturday 12-2pm crew * BENN MORRISON / FUNK FERRET / SOULYRIC * bringing you Party Jams to move to all night long. Lost Tribe Aotearoa – Roots rock reggae band hailing from Raglan New Zealand with guests, Mangawhai 6 piece SOJØURN. *Tickets from eventfinda or $20 on the door. One Forty Dubz Presents : Sub Structure 01 – Launch Night – Dark Dirty Underground Dubstep Vibes For You And Your Friends. One Forty Dubz are bringing you a night of local talent consisting of D-Low Music, DJ C WEST., Graysound NZ, DVS and Mittz. Visual projection show by Alan M.
Sunshine Sound System – Downtown Brown & MC Kpz! Quiz night – Every Monday, gather up a team and join in on quiz night. We’ve got fantastic banter, great beer and awesome food to keep you going all night! Phone 846 3773 or email info@neighbourhood.co.nz to make a booking. Tango Sunday The Kingslander Upstairs Bar – come & give Tango a try Beginners class then Social dancing Practica. Fun and social Tango class for beginners, improvers, salsa dancers, anyone – come and enjoy! Joss Stone live in Samoa Acoustic Duo – Joss Stone Live Tour Unplugged a Family and Corporate Event with special guests acts and NZ based Session Musicians and hosted by Lapi Mariner. *Tickets from eventbrite.co.nz, VIP area must be 21 and over. Rubber Feet live – Young, newly formed band Rubber Feet, led by Lepani, Will on Guitar and Aidan on drums. Chill out at Neighbourhoods Friday night sesh. The 15th Pacific Music Awards ceremony – Tickets will be available through www.eventfinda.co.nz.